If you’re living in campus apartments, you are required to select a meal plan when you fill out the housing application online and reserve your room. The new Thrifty 250 plan was designed just for students in the apartments. This plan costs $250 per quarter (less than $25 per week) and gets you $250 Dining Bucks (DB) to use wherever they’re accepted (see below). The RAD Rewards meal plan provides about 4 – 5 meals a week in the Greenery and over $10 per week in Dining Bucks. 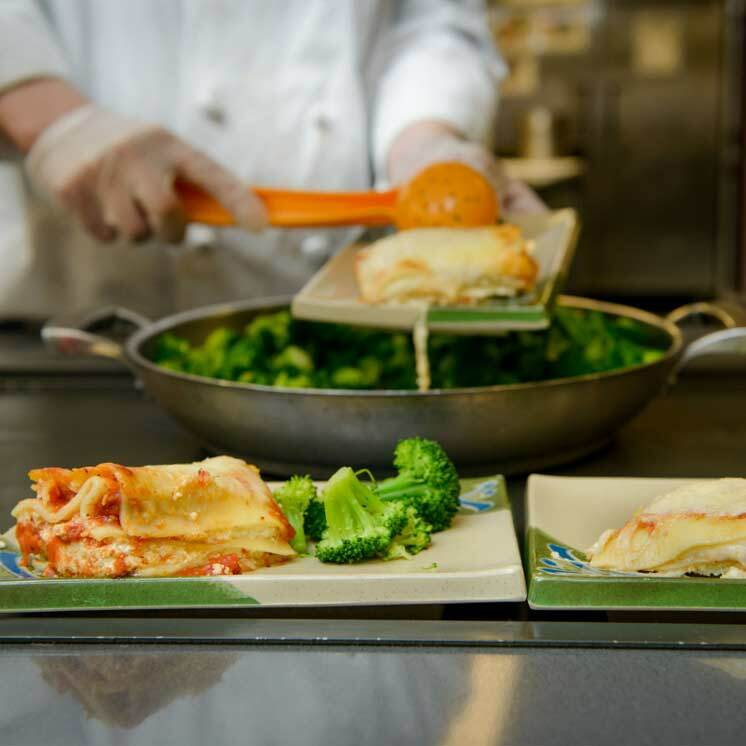 The Primary On-Campus meal plan covers nearly all meals on campus. Other meal plans are also available. To see them all, visit Campus Dining’s website. Purchasing a meal plan gives you a discount over paying in cash at the register. You’ll select your plan when you apply for housing and it will be billed to your student account. To change your plan, fill out the online change form before the end of the first week of each quarter. To petition for an exemption from the required meal plan, visit the Residential and Dining Services office in A-301 to fill out a meal plan exemption form. Add declining balance to any meal plan and get $220 DB credit for $200 with our Super Value Stretcher program.